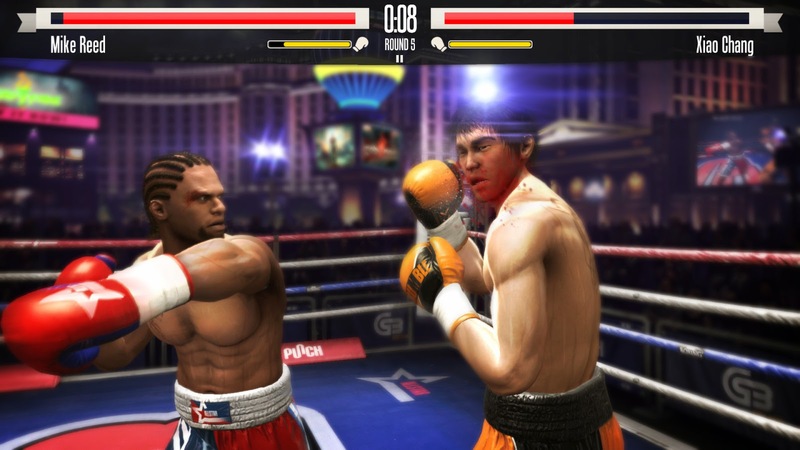 Real Boxing sure has the look and the feel of a quality boxing simulation. 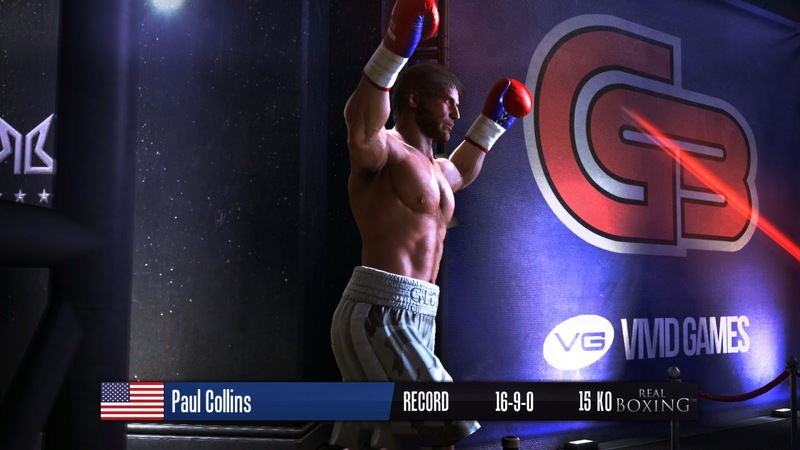 Under the hood, it is perhaps not as powerful and customized as the venerable Fight Night series, but Real Boxing holds its own with respectable visuals, some decent career progression and solid controls. Compared to Fight Night, which this title will inevitably face since there are so few quality boxing titles out there these days, Vivid Games does a good job of creating decent-looking character models and a solid, responsive in-ring experience. The controls give you plenty of options for jabs, hooks and uppercuts, and while the collision detection could be just a bit better, it gets the job done pretty well. A few additional controls like clinching and a quick mini-game that comes with it as well as the usual 'press buttons really fast' to try and stand up from a knockdown serve to help change up the pace in the ring. Outside of the ring, there are a handful of options that make Real Boxing feel a bit more simulation like. Every fight fights, your boxer can work a heavy bag, a speed bag and jump rope on some timing based mini-games that help improve one of three stats for your boxer. 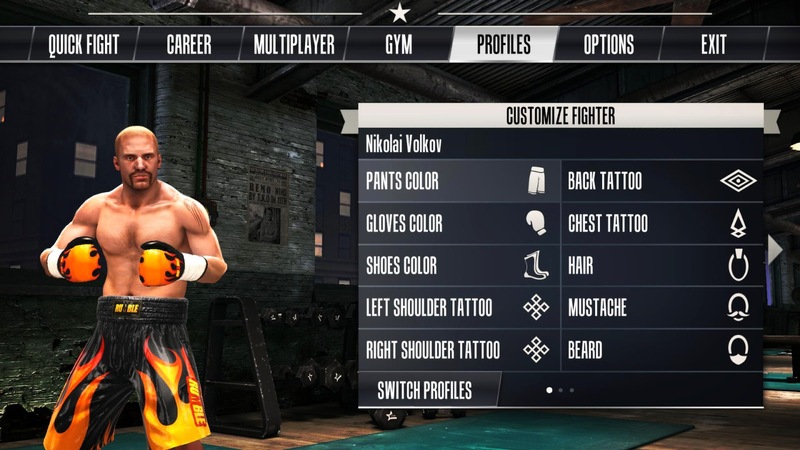 The boxer himself does not have the level of customization that a more detail-oriented fighter like Fight Night does. You pick from one of several already made characters and can tweak his appearance a bit with different things like equipment and tattoos. This works well enough, bu the limited number of models makes the fighters feel recycled just a bit sooner than I would have liked. There is not a lot of meat on the single player campaign mode, which has you working through different brackets on your way to a championship belt. 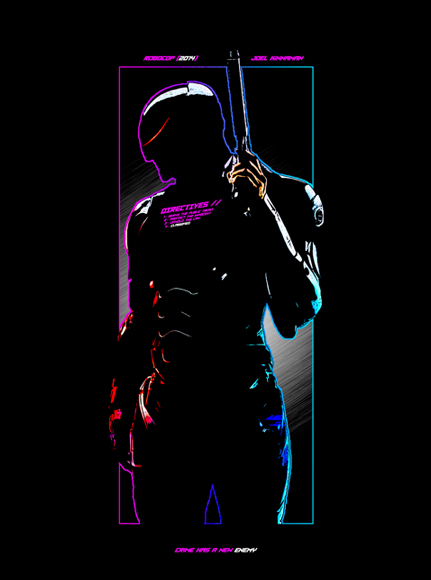 Multiplayer is all well and good, but there is no real matchmaking and you have to actively have other boxers online and wanting to play. This part was hit and miss. Sometimes I could get into a match almost immediately and at other times I was feeling pretty lonely. The good news is that when an online game is found, the boxing ran very smooth for me in every instance, without any real notable lag. I spent the bulk of my time in the single player tournaments however. Winning matches earns you credits, which can then be applied to a handful of different perks to improve your boxer, or to spend on cosmetic and equipment changes to help shape his appearance. Matches are fairly quick, and generally ended in knockouts, which suited me just fine - but some went the distance and while the statistics were not terribly deep, they did a nice job of tallying punches thrown and landed - though some representation of power punches versus lighter ones might have been nice. The actual boxing works well enough. I tend to lead with a lot of jabs and then come in with hooks. Uppercuts are tough to land, and usually need to be timed in such a way that you are catching your opponent lunging in for a strike of their own. The basics are there - block, punch and try to stay on your feet. Should your health bar completely deplete, you hit the mat and enter a quick mini-game of button mashing the triggers to get back up again. Dodging blows felt a bit fickle to me - probably my biggest complaint. It is mapped to the same button as block, but you are supposed to hold for a block and tap for a dodge. The tap doesn't seem to work terribly reliably however, which is a shame since counter punching the computer is really good at later in the tournaments and it deals a load of damage. One other bar that needs management is your stamina. This is represented by a small yellow bar beneath your health, and it represents punching speed and impact. If you throw a lot of punches, you are more likely to sneak some through (especially since three blocked punches always breaks your opponent's blocking guard), but the lower your stamina is, the slower and weaker your swings. So flailing away will get you a number of light tags on your opponent but will not necessarily do much to decrease his health. This is why Counters work so well, because you are landing a hook or uppercut on your opponent with a full stamina bar behind it, dealing significant damage. What vivid Games has made here is a decent budget boxing title. It may not have the AAA backing of something like Fight Night, and as such not as feature rich as the reigning champ. Still, Real Boxing has some pluckiness to it if you go in with the understanding that this is more arcade game than simulation and that it may not have as many options built in.